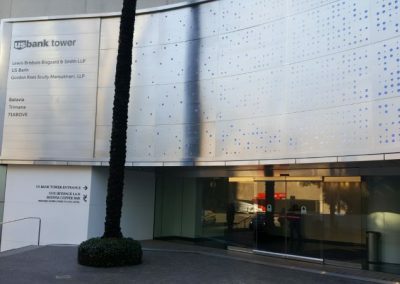 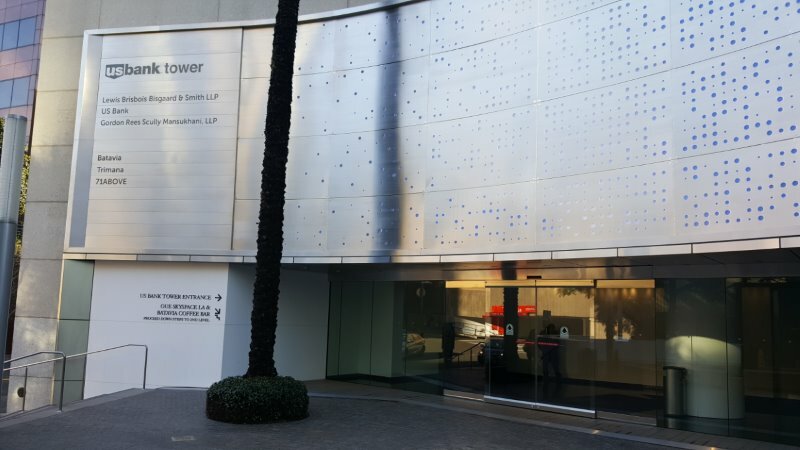 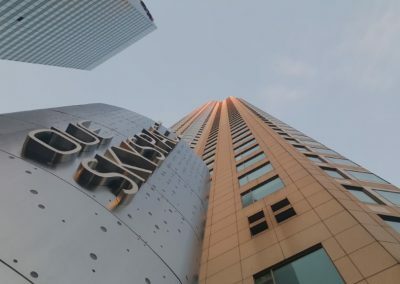 Originally called the Library Tower, OUE purchased the iconic US Bank Tower in Downtown LA – in 2013, and since then has invested nearly $100 million in renovation and improvements. 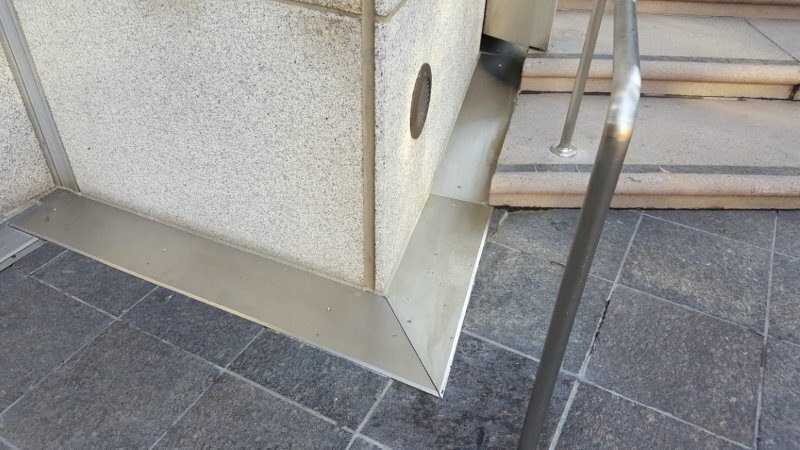 When completed, U.S. Bank Tower was the first supertall building not just in Los Angeles, but also in the entire western United States to the west of Chicago and Houston. 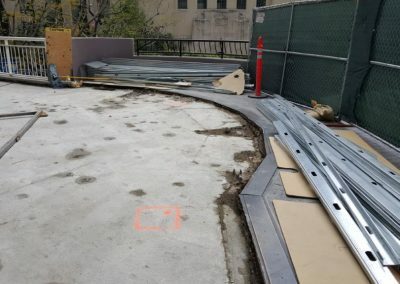 Originally known as Library Tower, it was constructed across the street from the historic Central Library of Los Angeles and was developed utilizing air rights purchased from the city, preserving the historic open setting of the low-rise building. 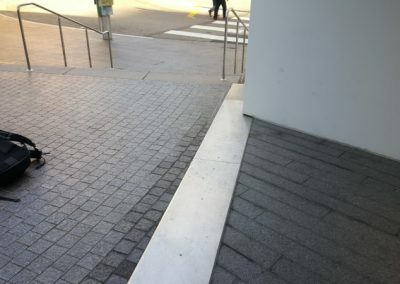 U.S. Bank Tower pays homage to its adjacent neighbor by having a curving façade turning away from the library and allowing it to remain the primary feature of the view corridor along Hope Street. 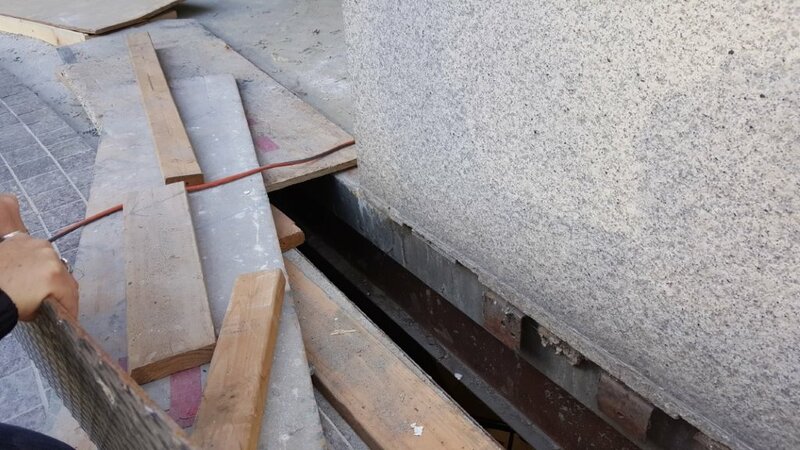 When built, U.S. Bank Tower was the tallest structure to be located in a seismically active area. 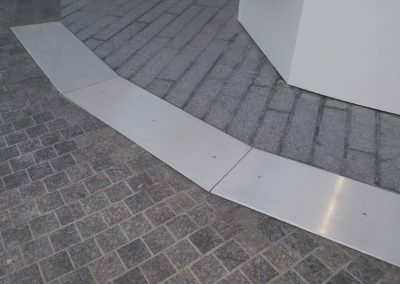 Designers based the layout of the tower plan on a concept of overlapping geometries, a circular form superimposed onto a rectilinear matrix, a shape that is translated to the outside of the building and extruded upward into a series of upper level setbacks and a textured façade made up of triangular window bays. 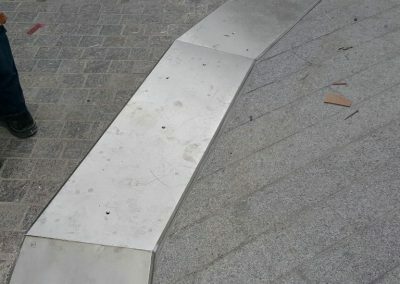 The triangular bays are repeated in the crown with more pronounced angles providing greater visual distinction between it and the tower below. 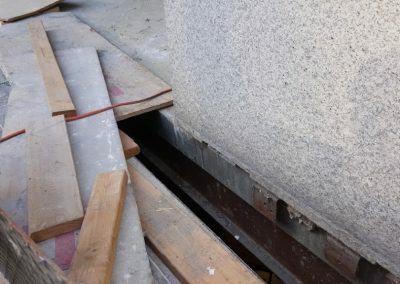 At ground level, development of the tower incorporated the creation of the Bunker Hill steps, a pedestrian link ascending the topographical change between the modern downtown towers built in the Bunker Hill area primarily in the mid to late 20th century and the shorter early 20th century buildings of the historic downtown core. 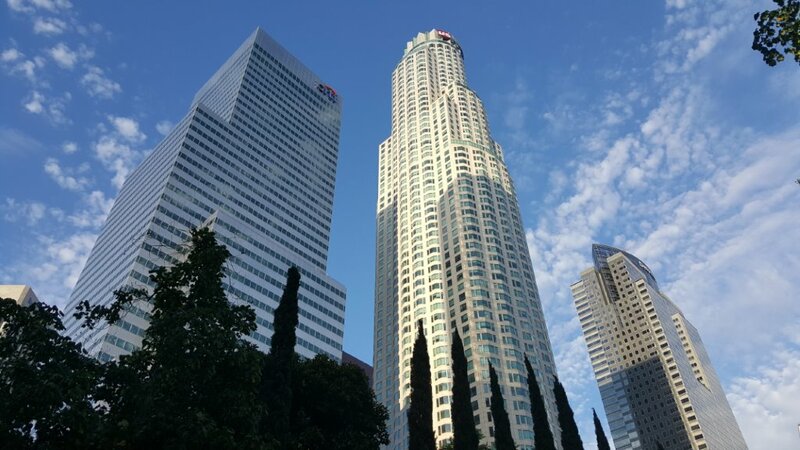 U.S. Bank Tower has dominated the Los Angeles skyline as its tallest building for 27 years and has been seen in the backdrop of numerous films produced by Hollywood studios. 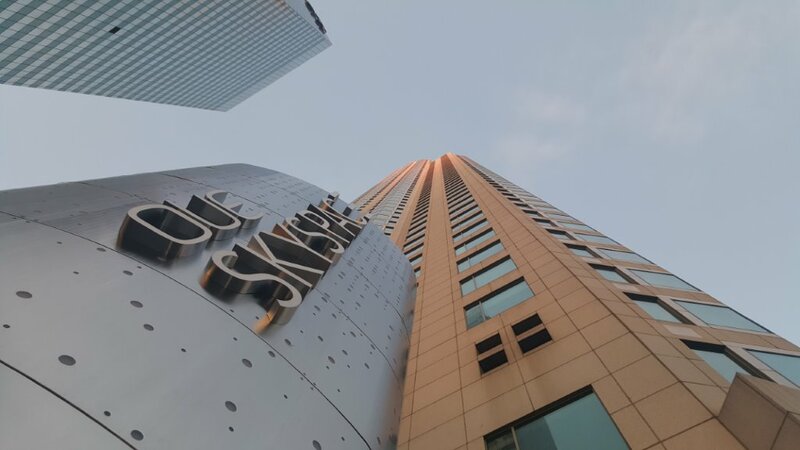 Its presence will remain a key feature of the skyline even after its title of the city’s tallest has since passed on to Wilshire Grand Center and as other changes occur to downtown Los Angeles in the in the years to come. 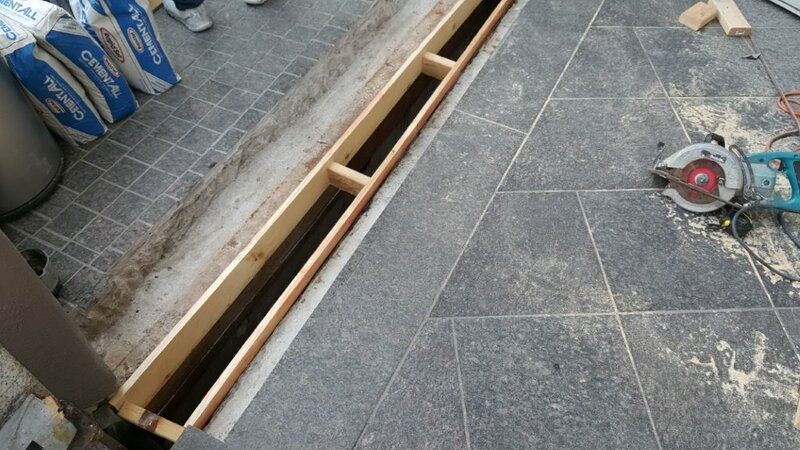 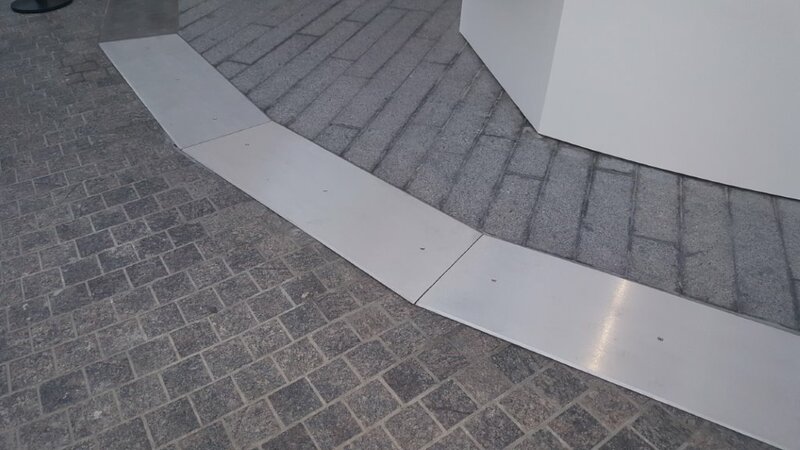 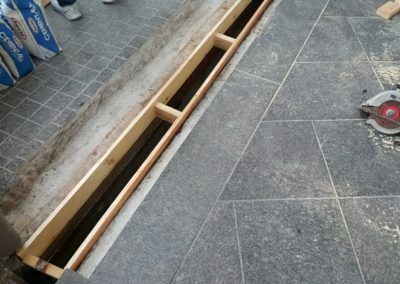 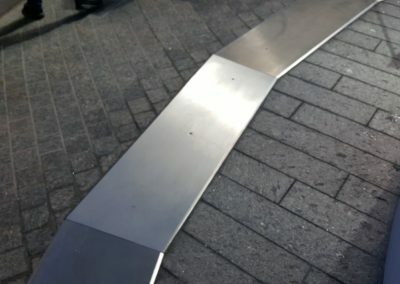 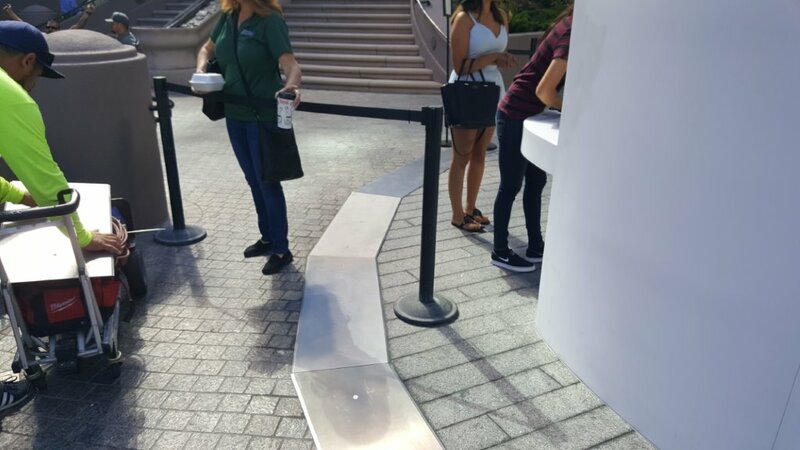 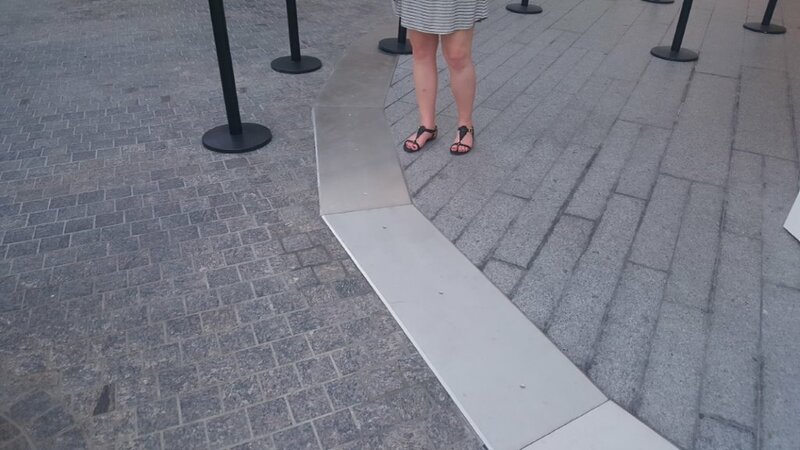 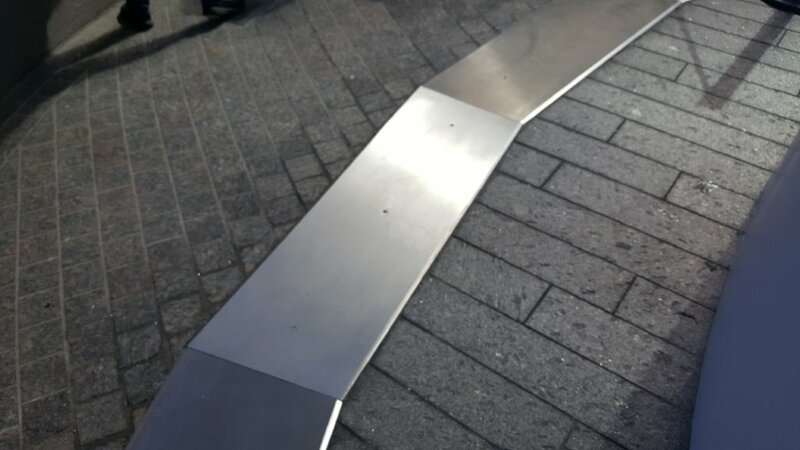 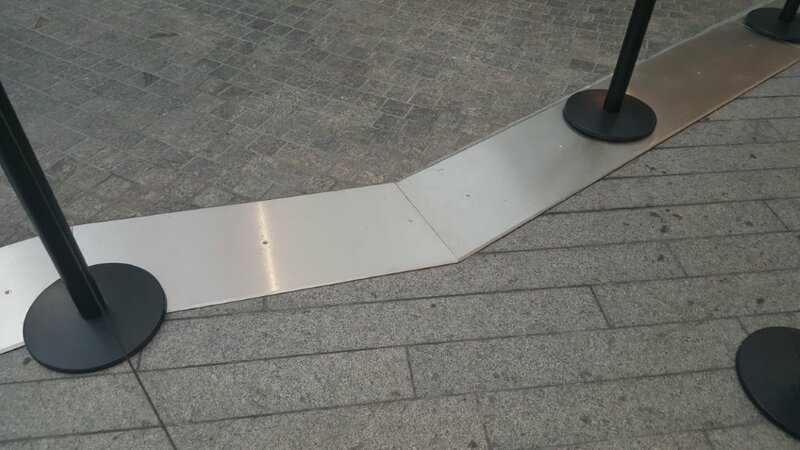 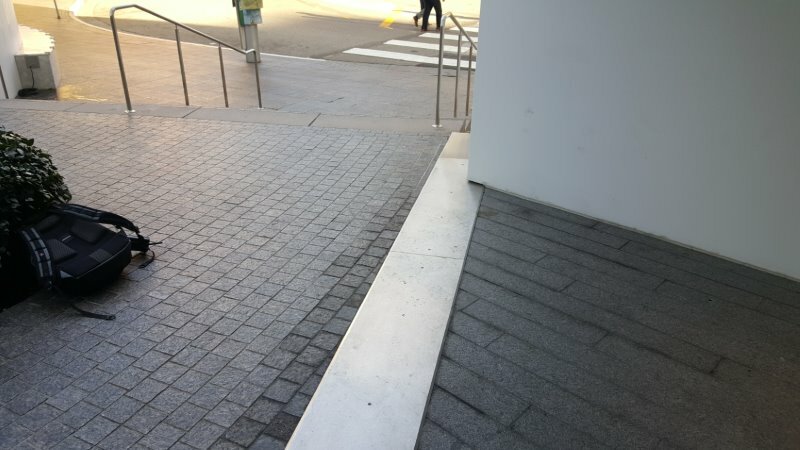 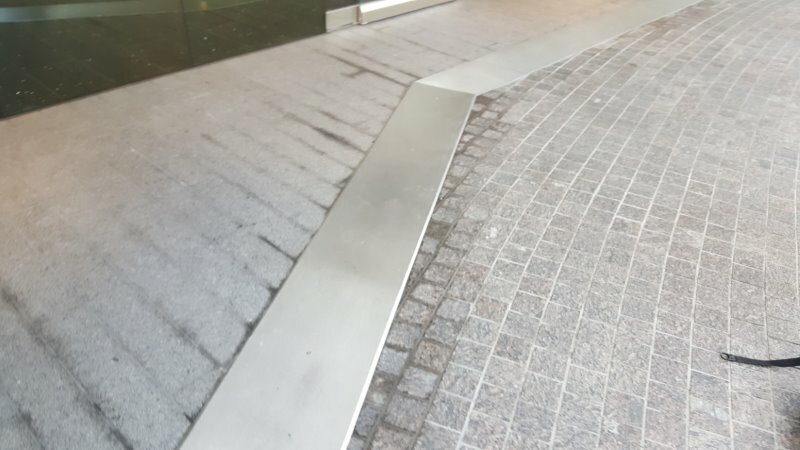 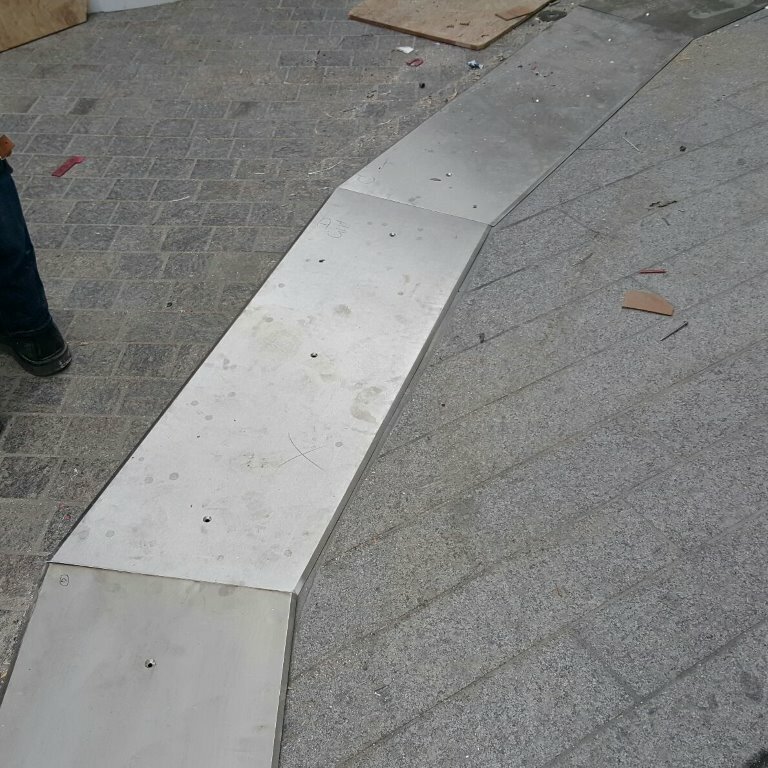 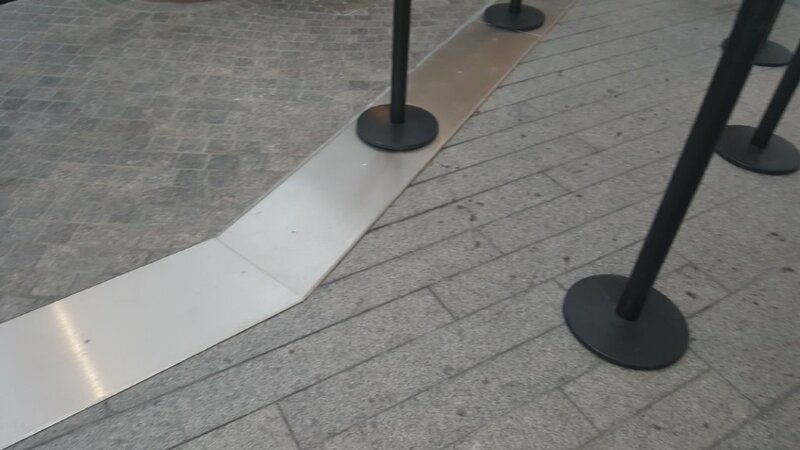 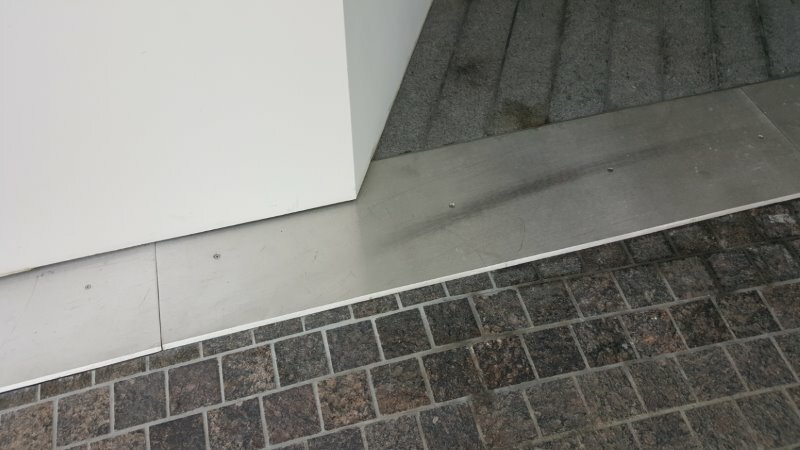 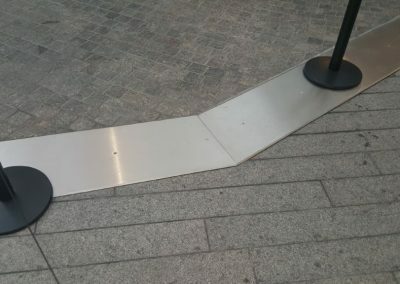 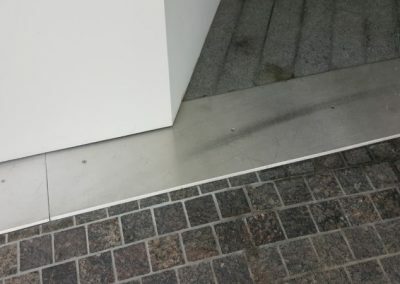 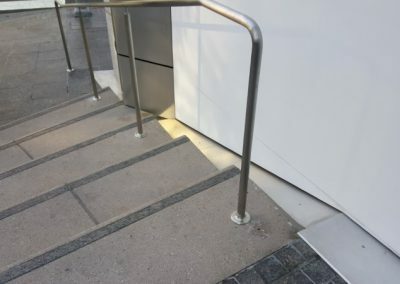 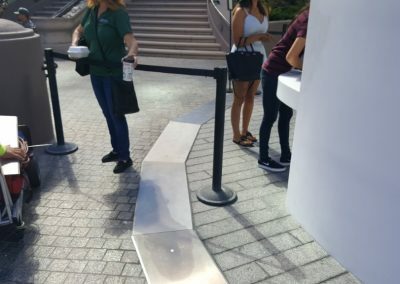 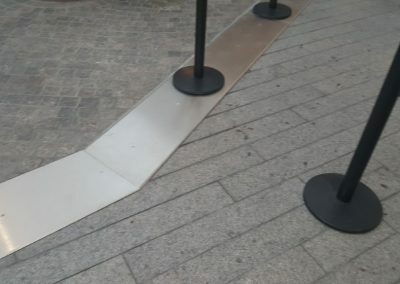 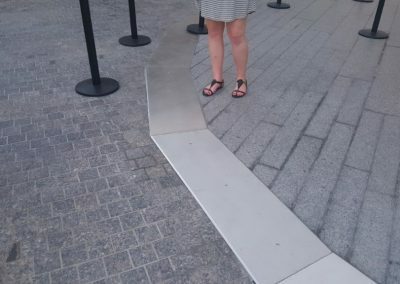 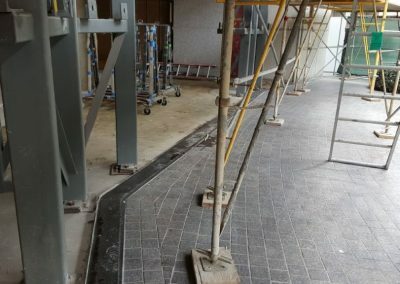 As a part of the nearly $100 Million renovation of the building by OUE and the addition of a 78th floor observation deck, the US Bank Tower’s ground floor, 2nd level plaza mezzanine and the upper street level entrance along Hope Street, went through major plaza deck and expansion joint restoration. 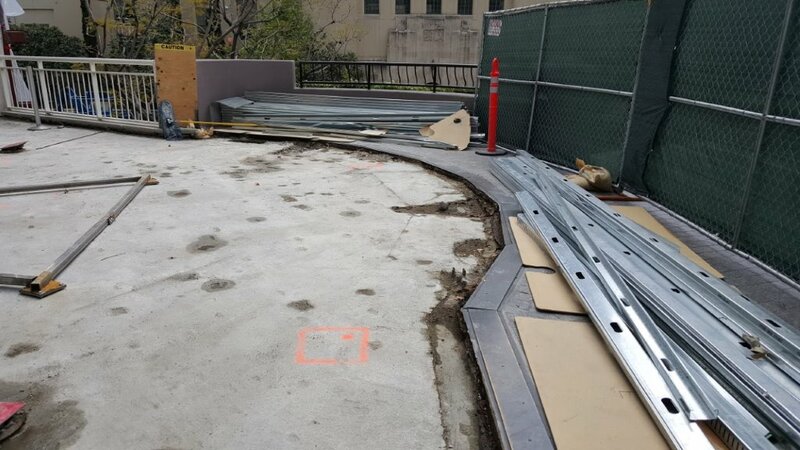 Built over and near several active earthquake faults, the original structure was designed with an 8″-24″ seismic moat that encircled the entire foundation and steel building structure. 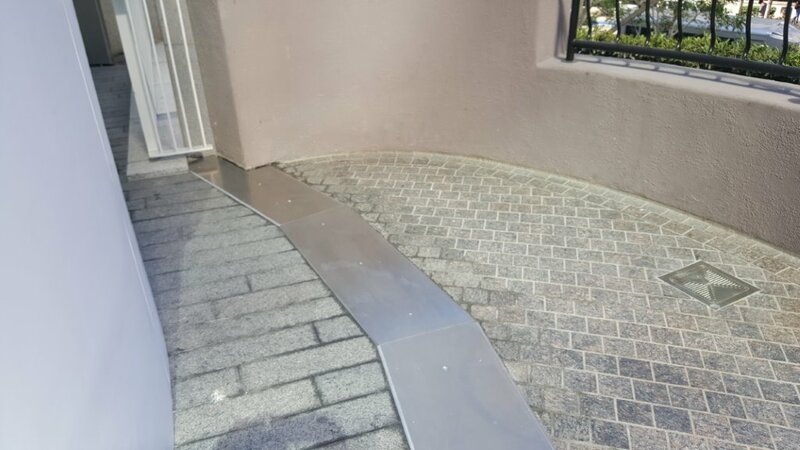 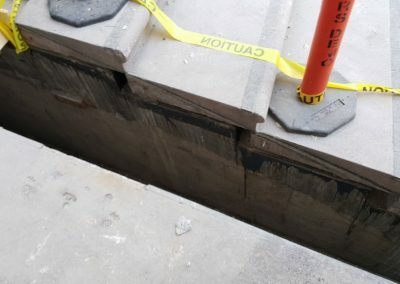 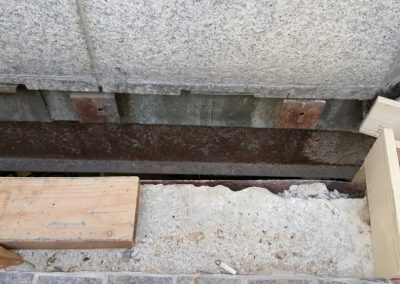 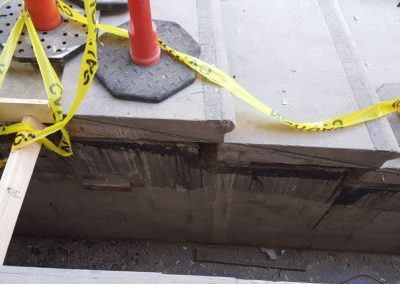 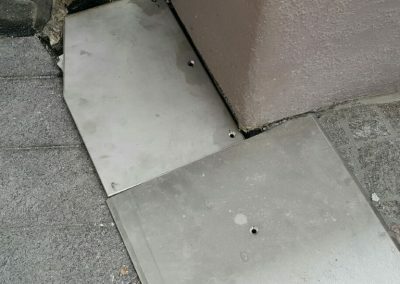 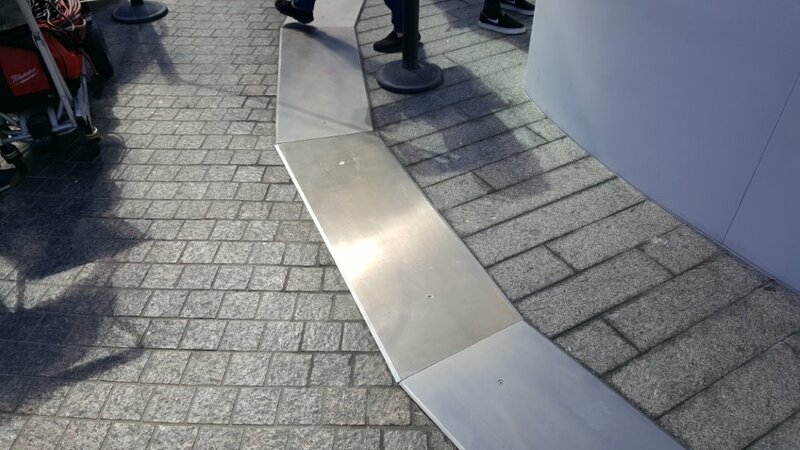 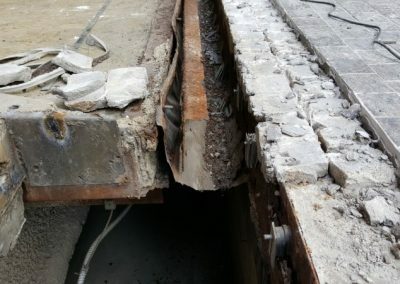 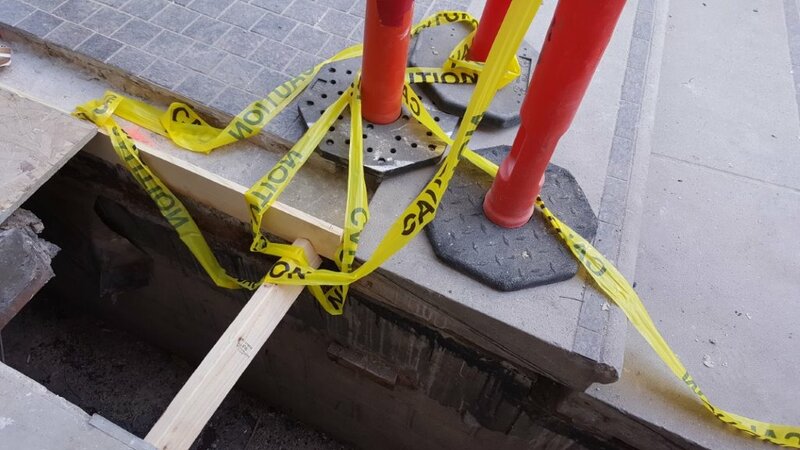 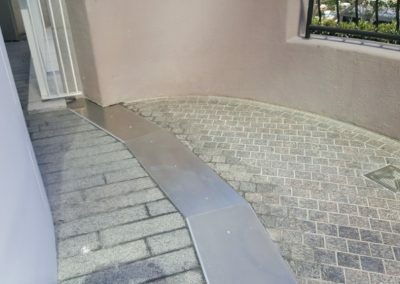 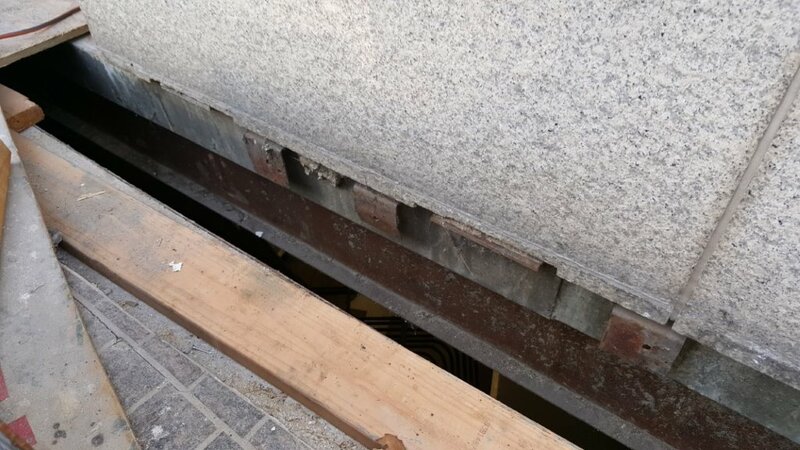 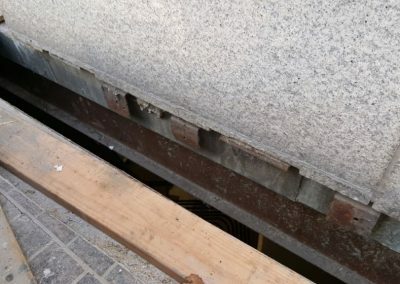 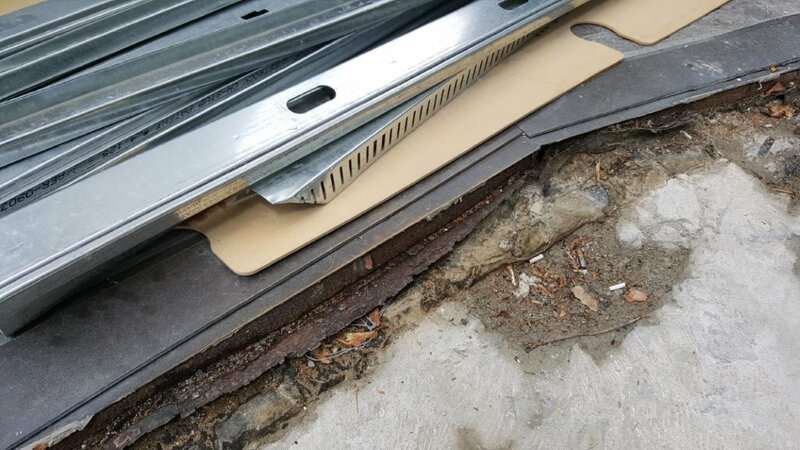 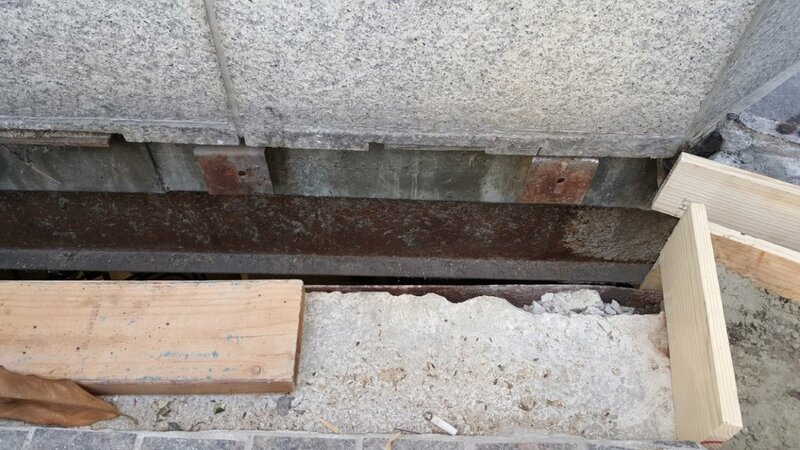 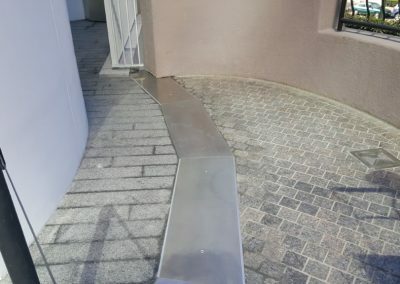 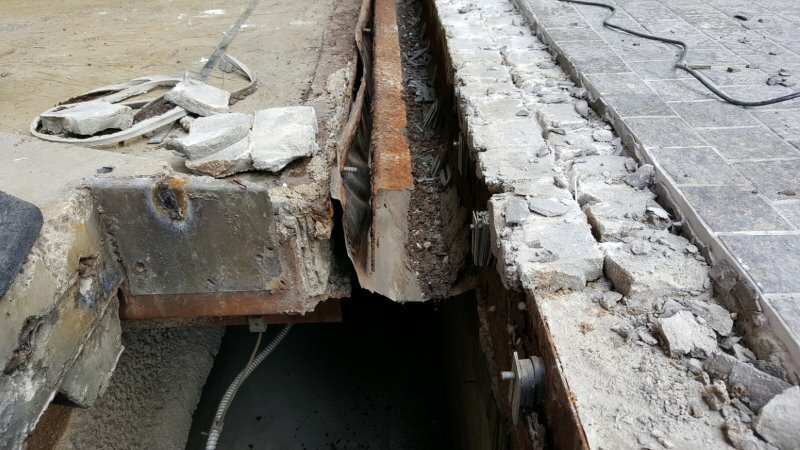 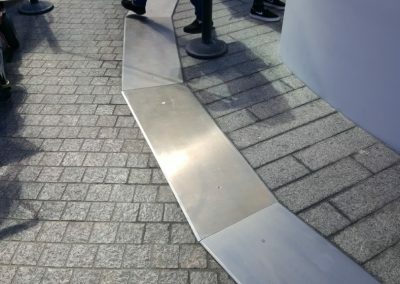 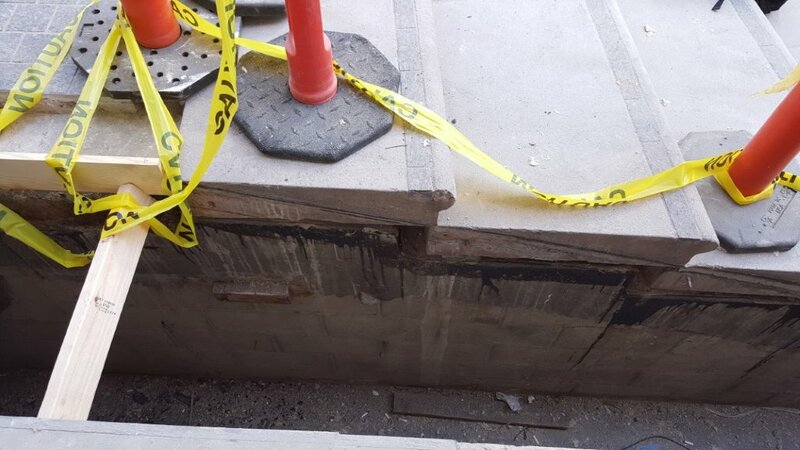 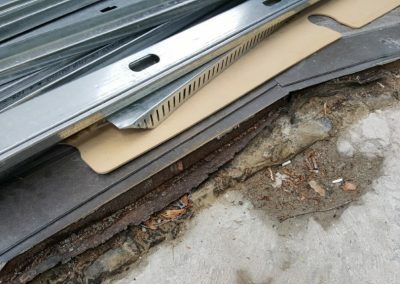 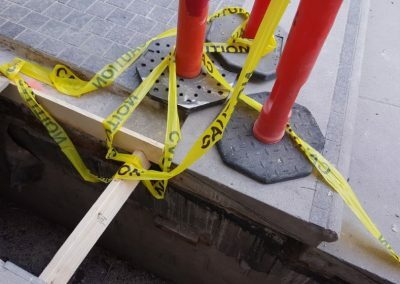 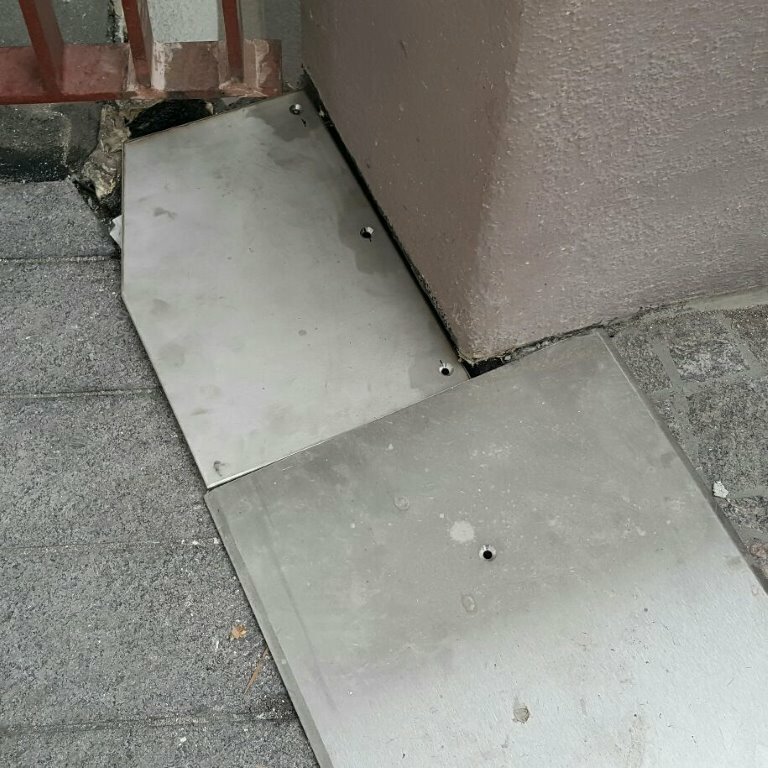 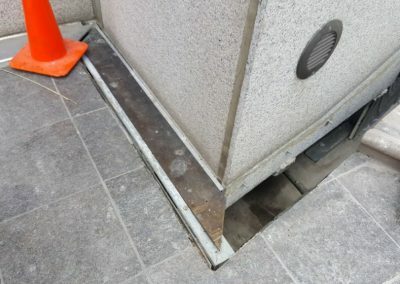 These original expansion joint covers were mounted to the structural concrete with non-galvanized miscellaneous iron channels and angles which had over the years corroded and became brittle. 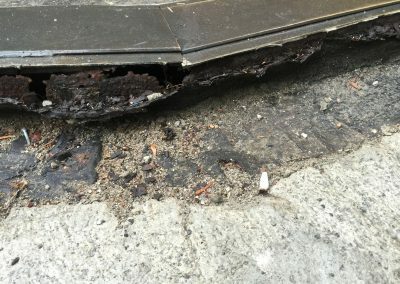 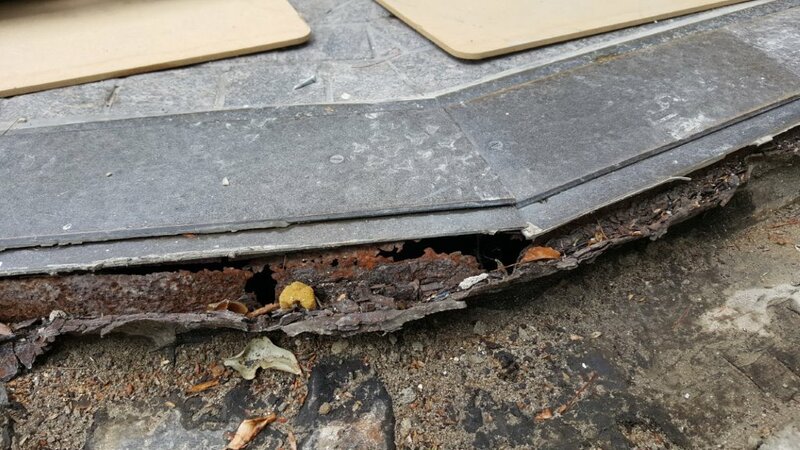 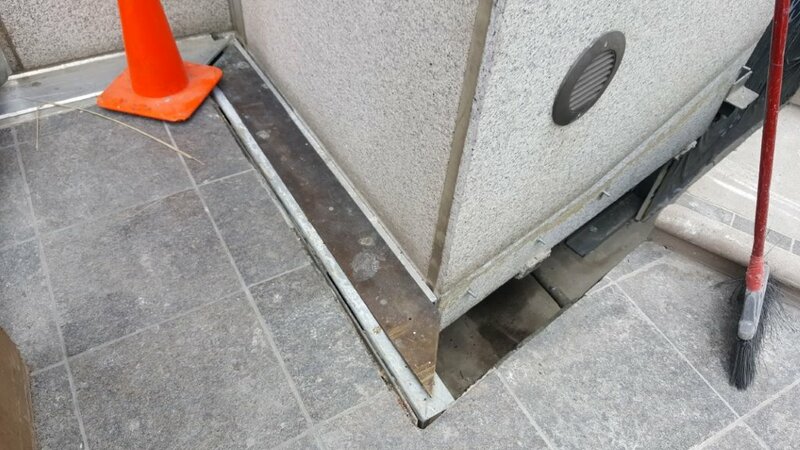 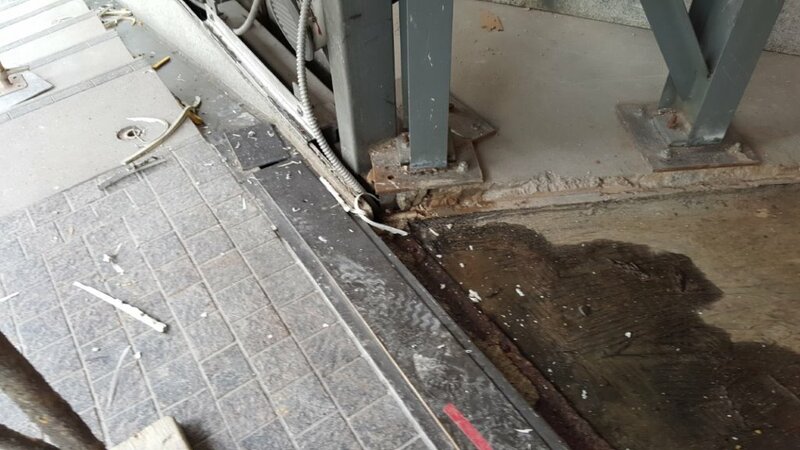 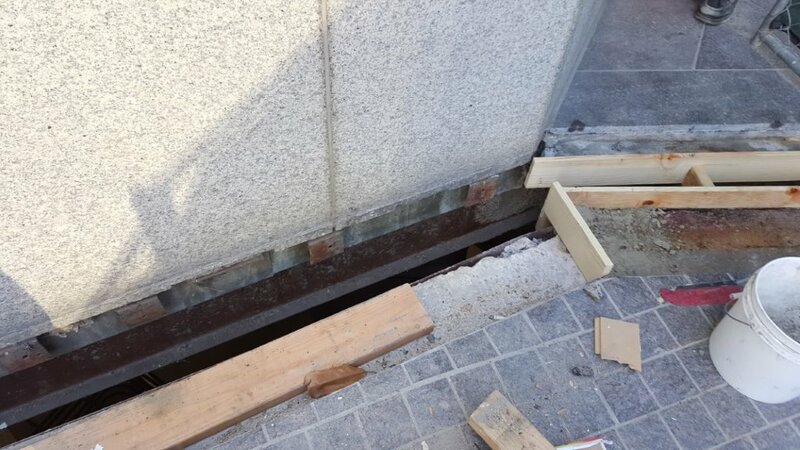 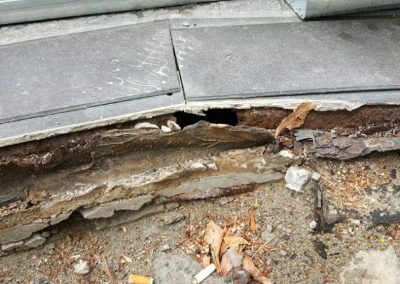 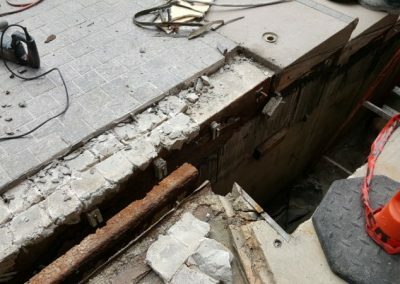 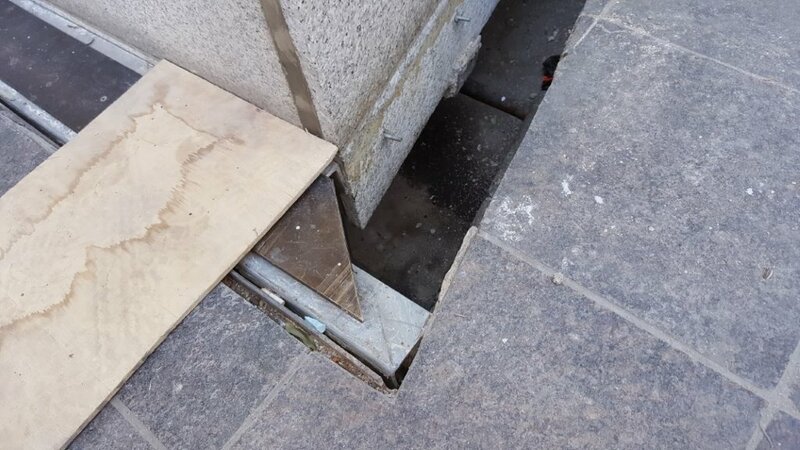 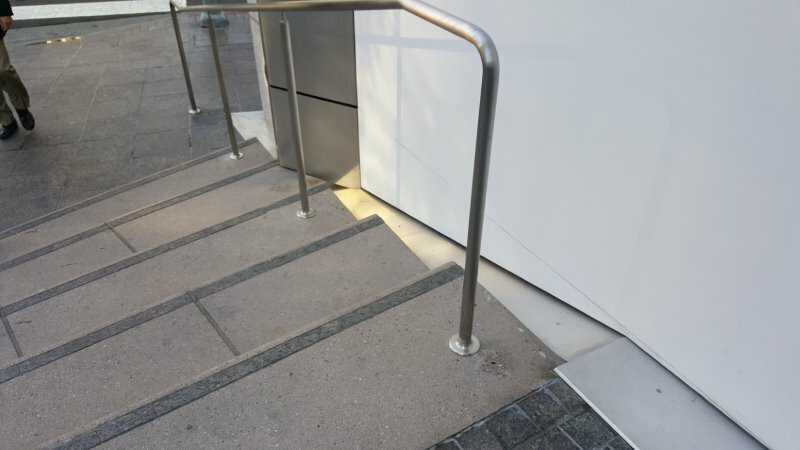 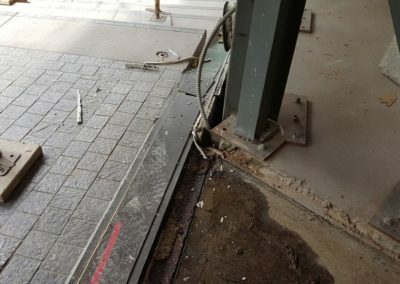 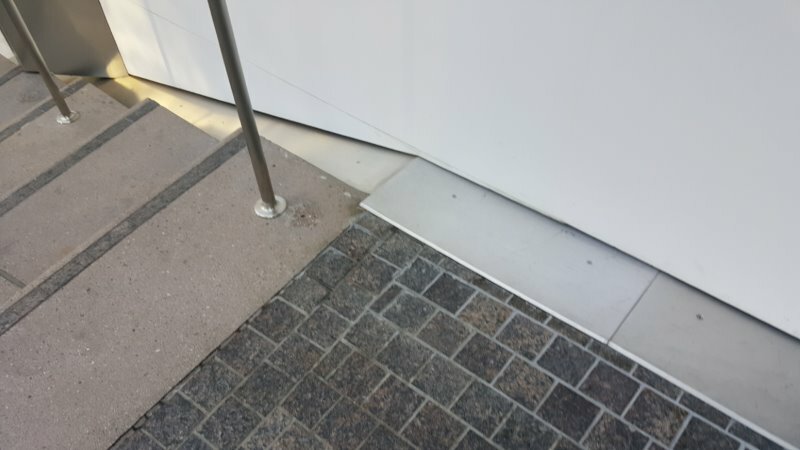 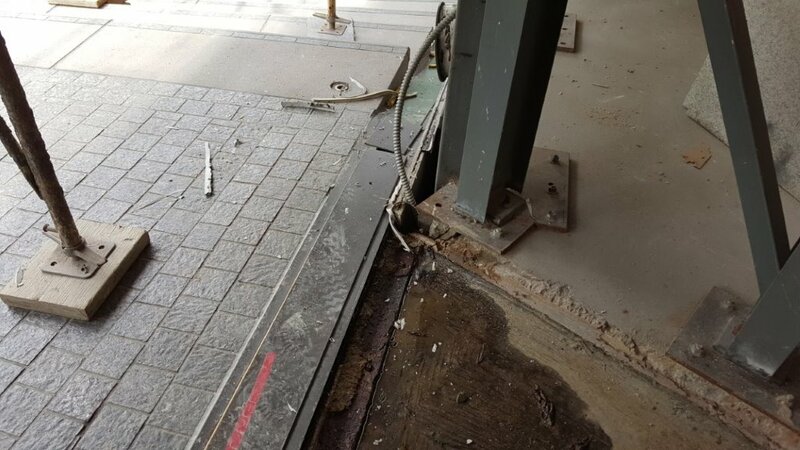 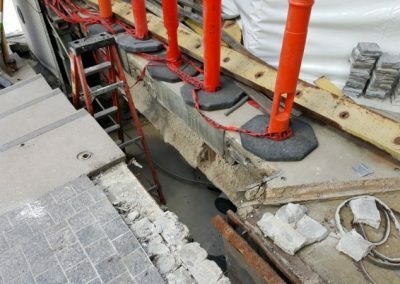 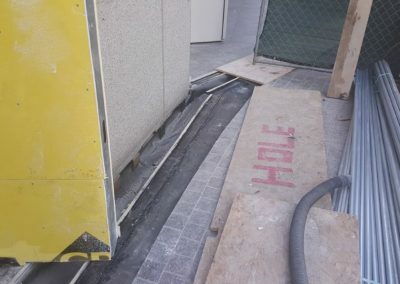 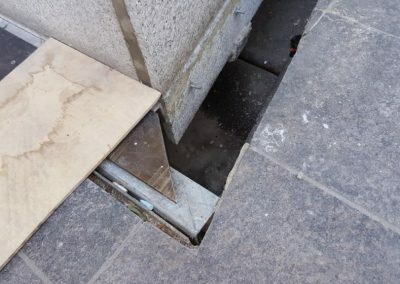 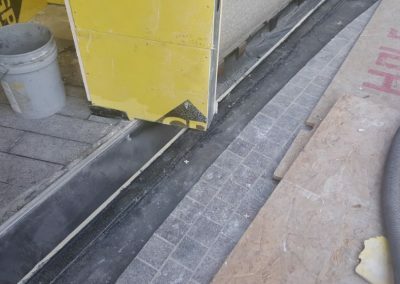 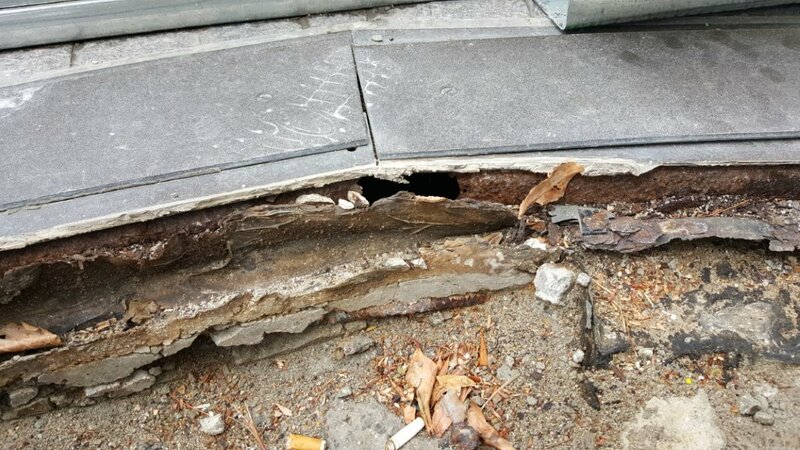 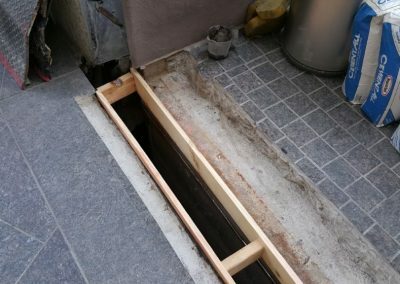 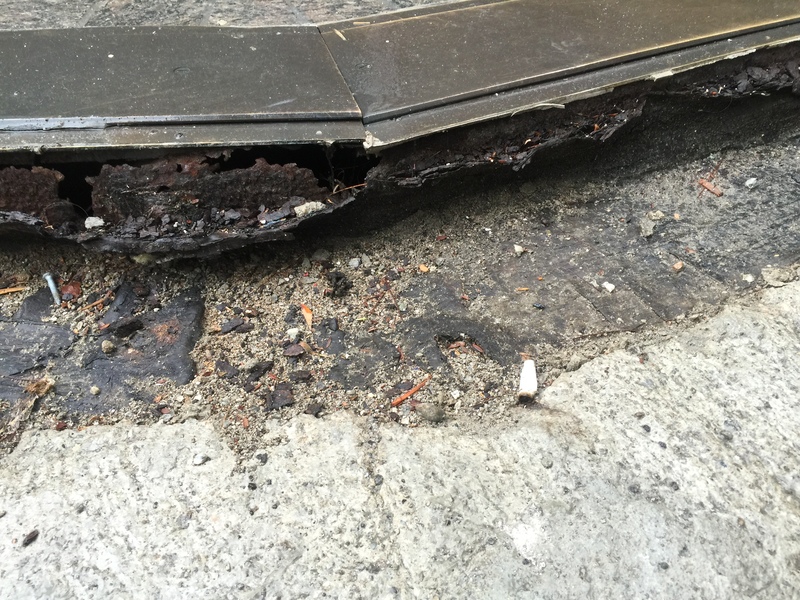 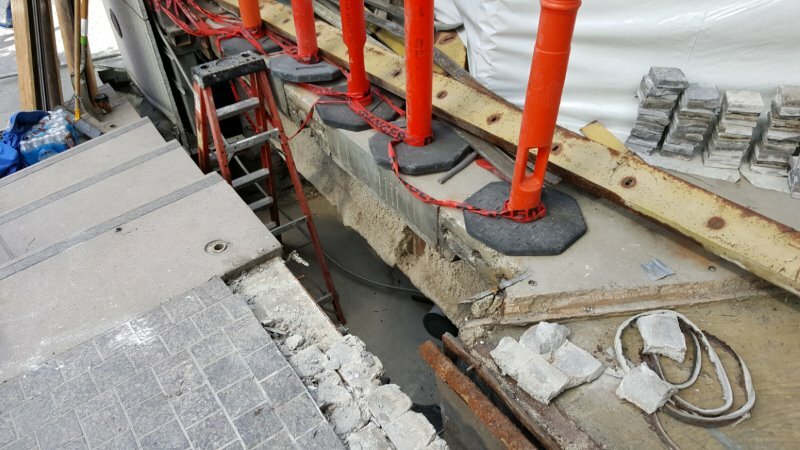 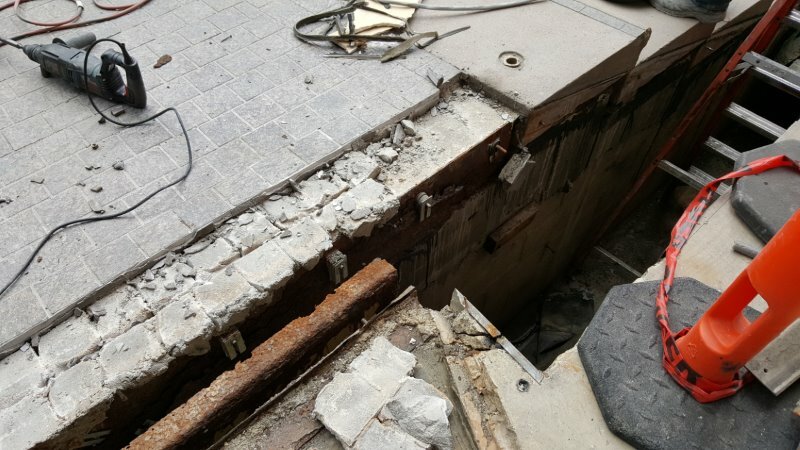 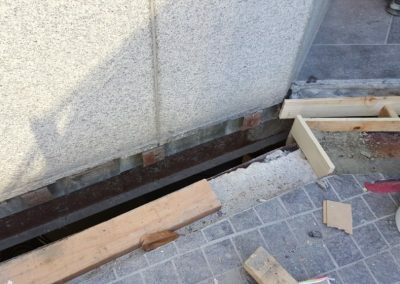 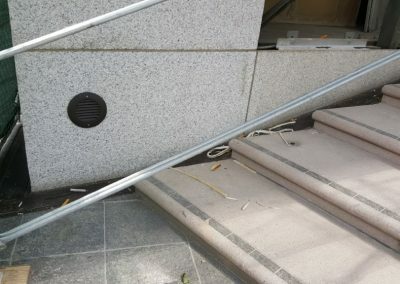 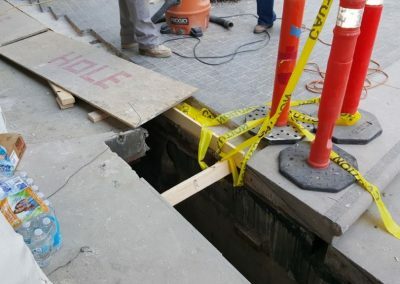 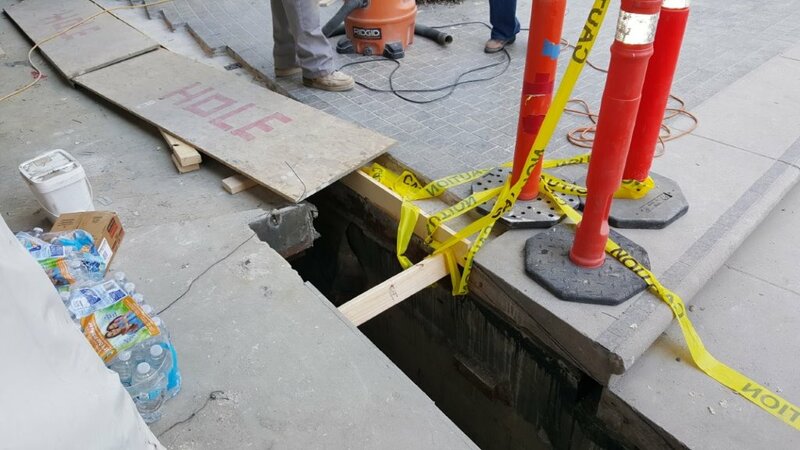 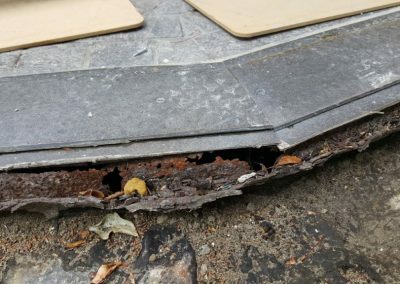 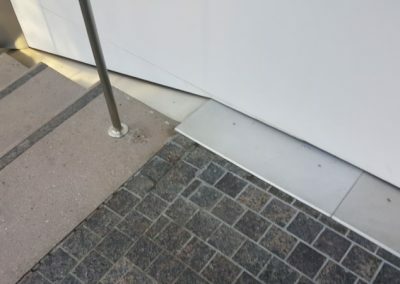 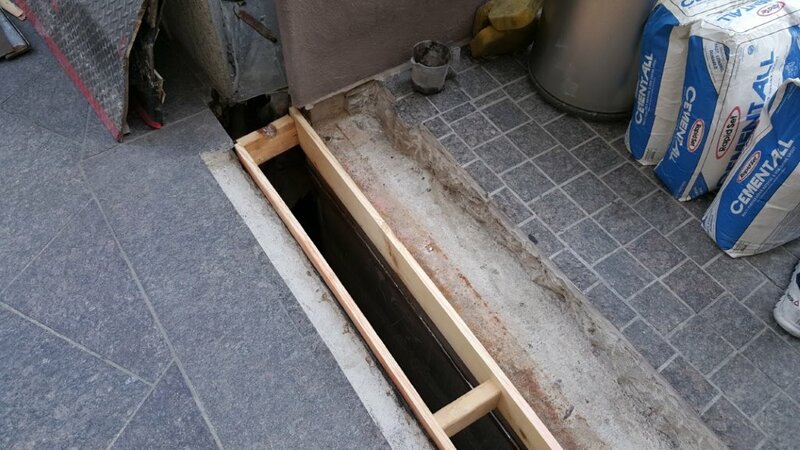 As a consequence the bladder system that was also attached to the structure had washed out and provide little to no water protection to the interior parking spaces below the expansion joint. 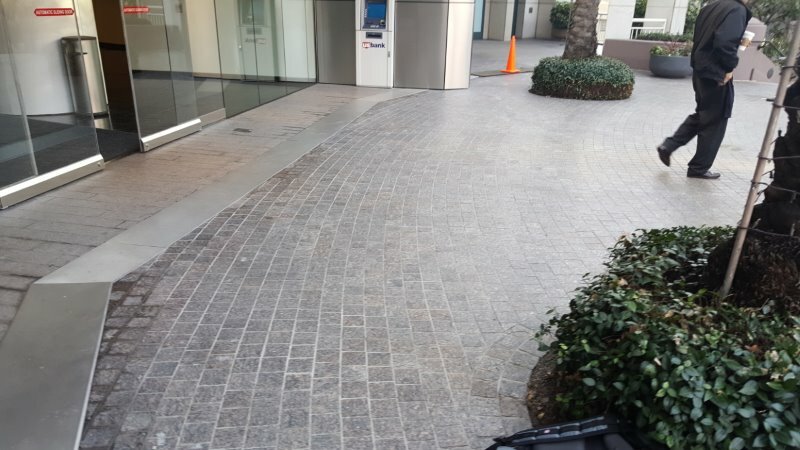 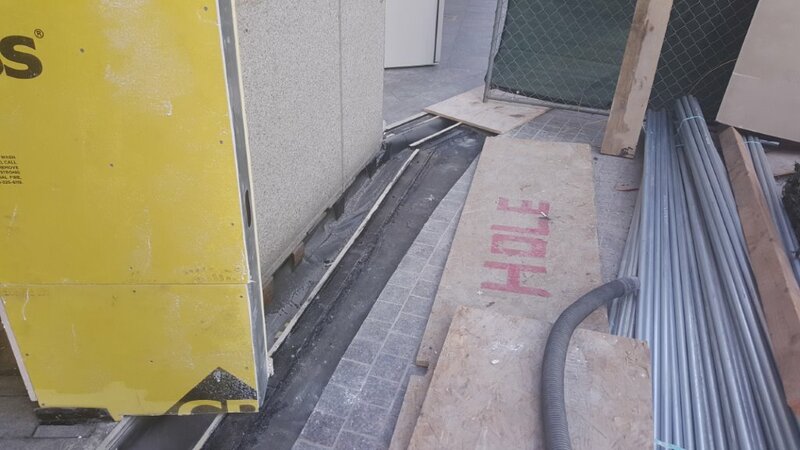 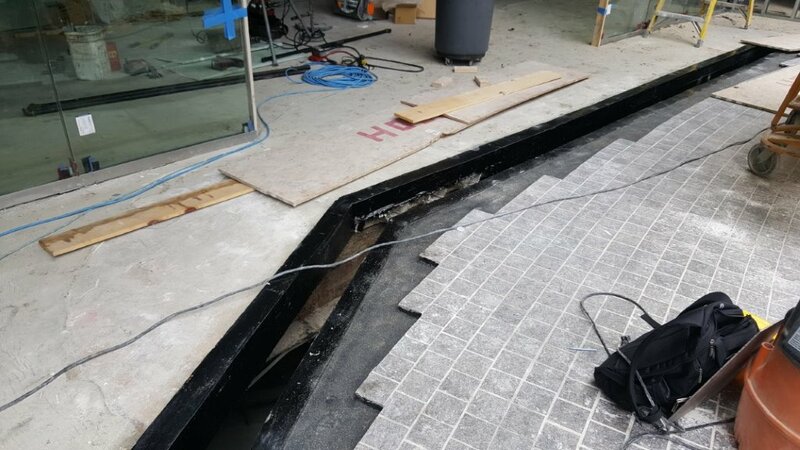 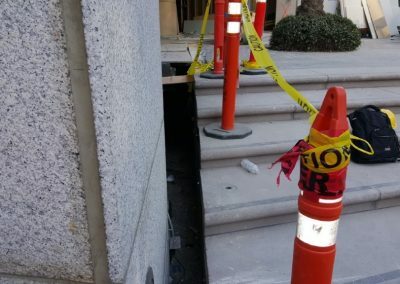 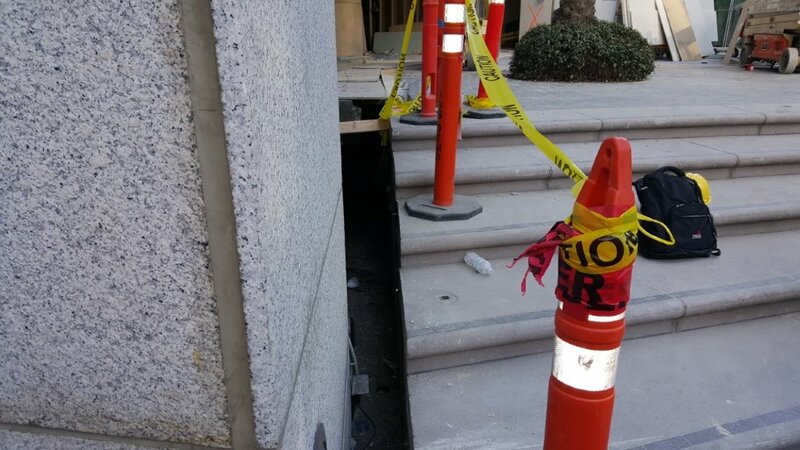 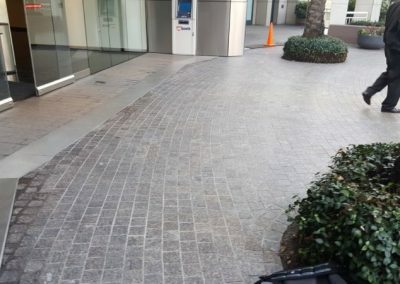 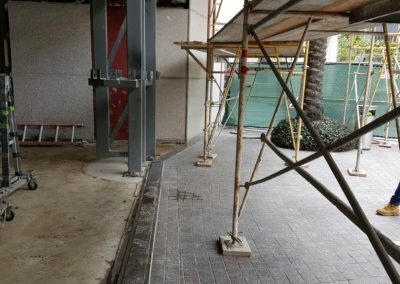 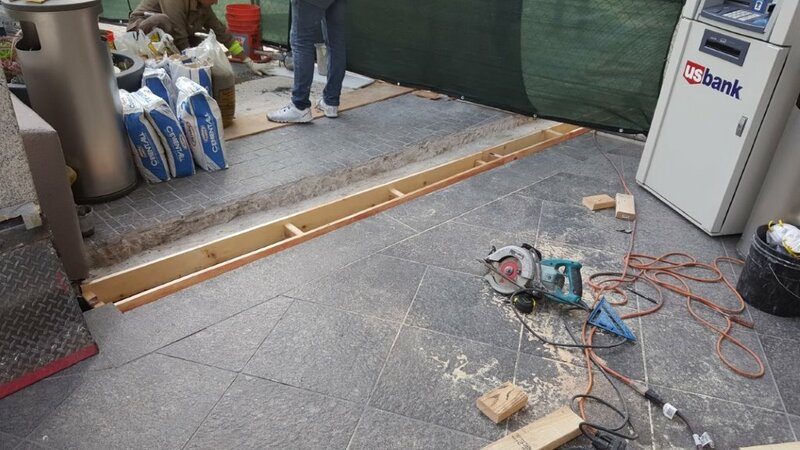 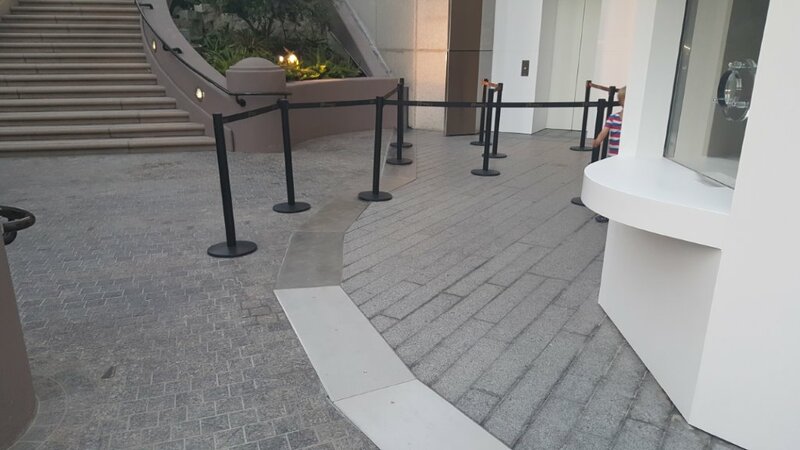 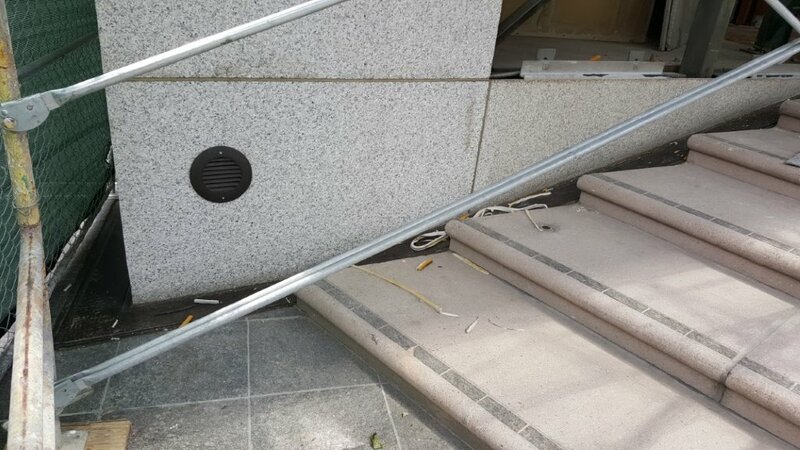 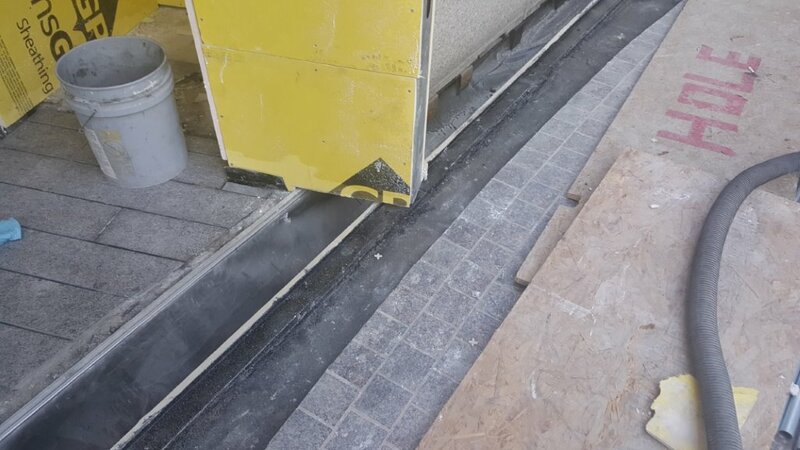 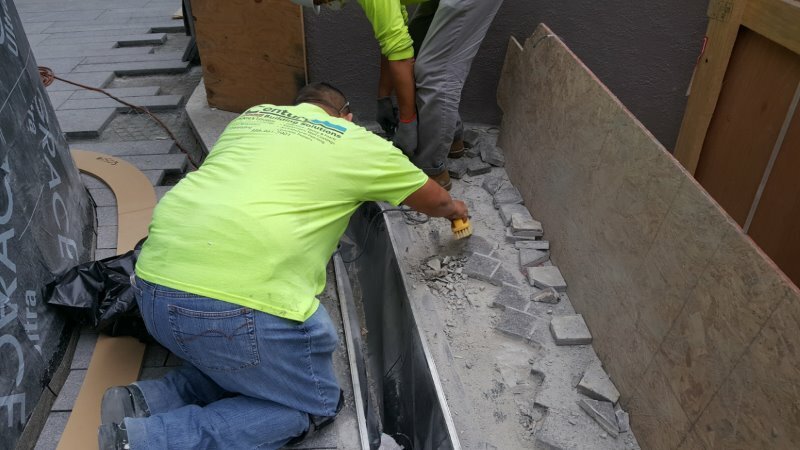 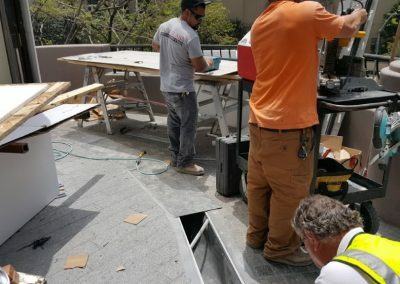 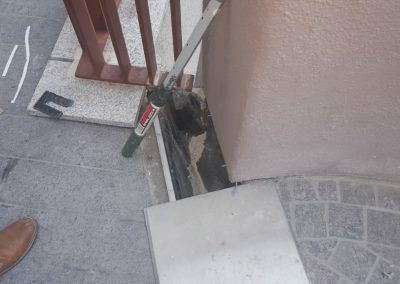 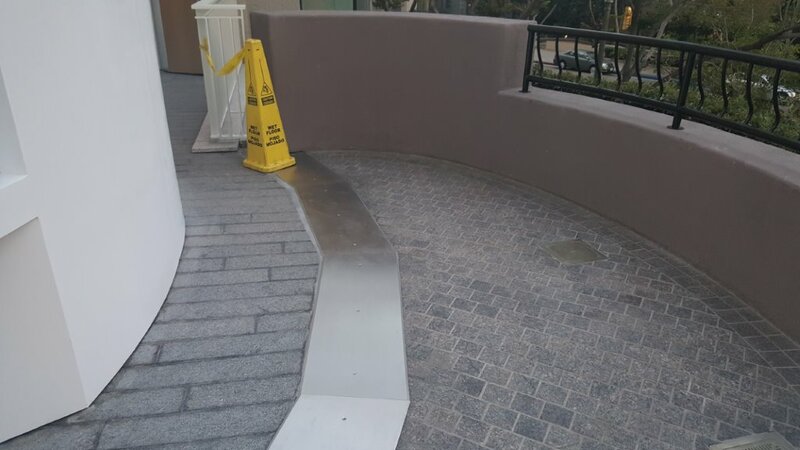 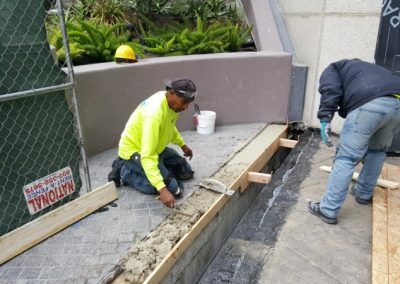 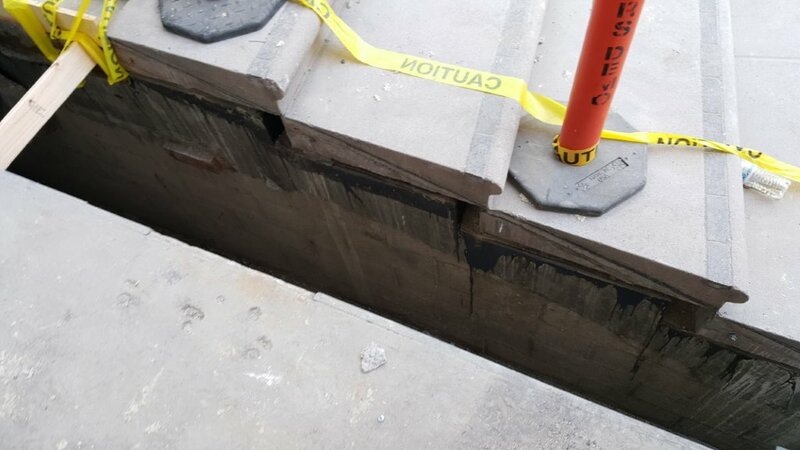 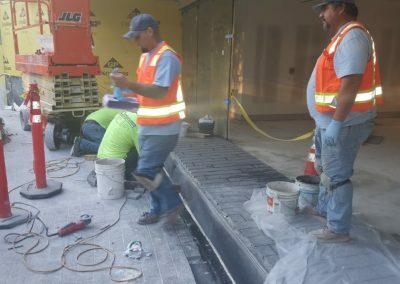 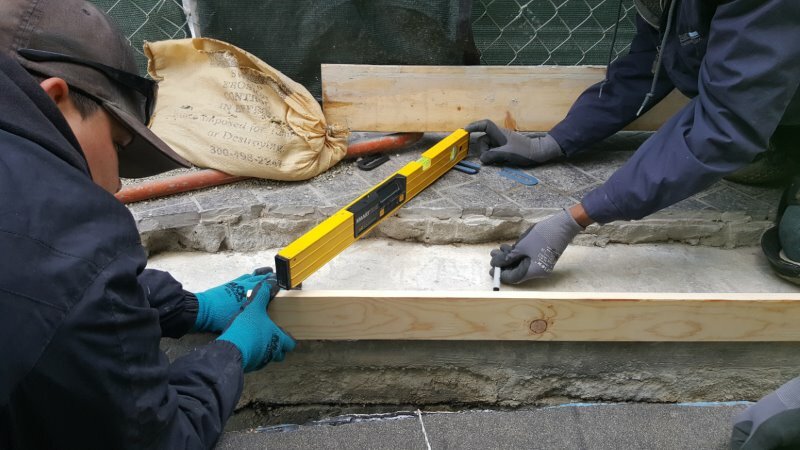 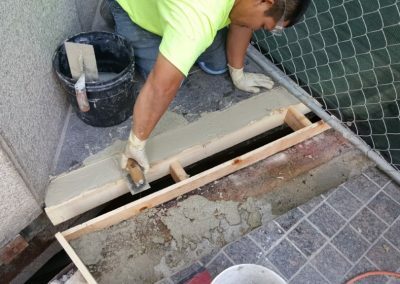 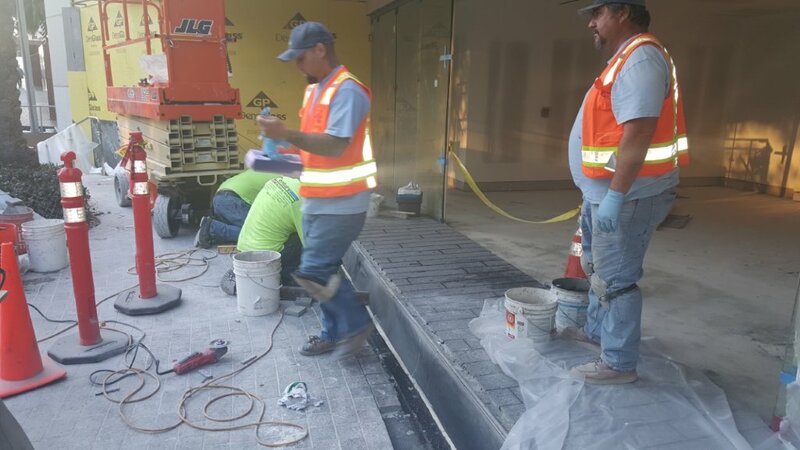 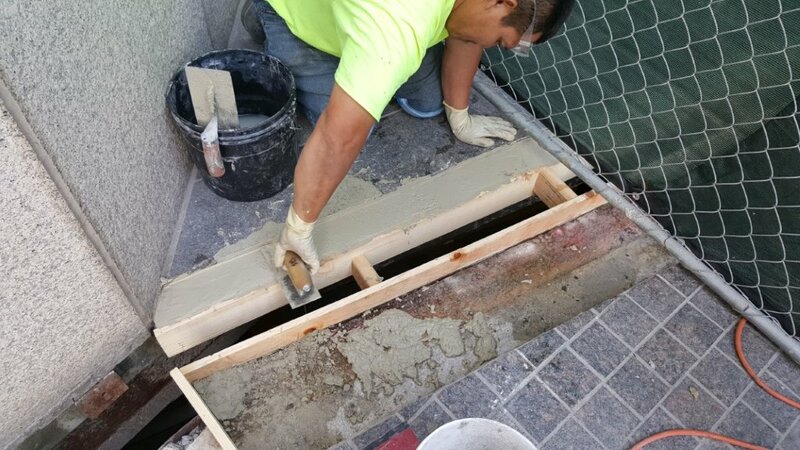 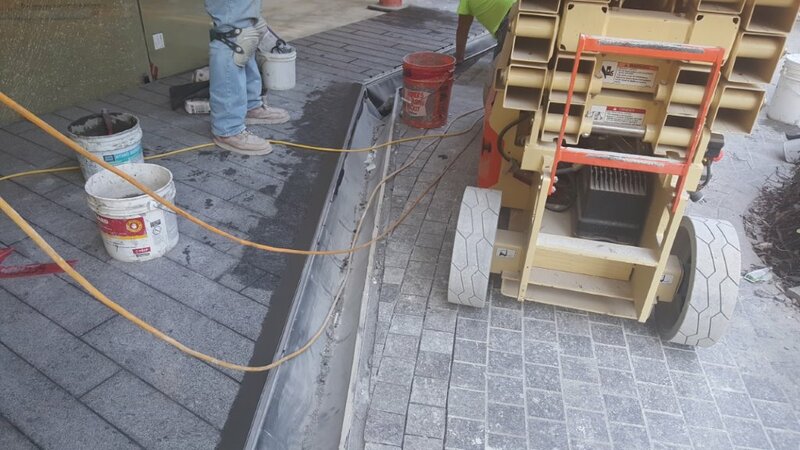 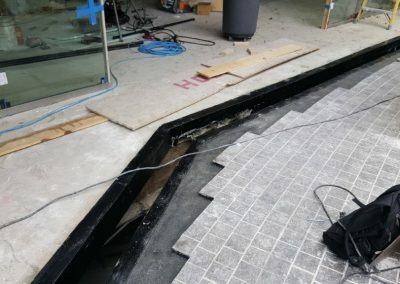 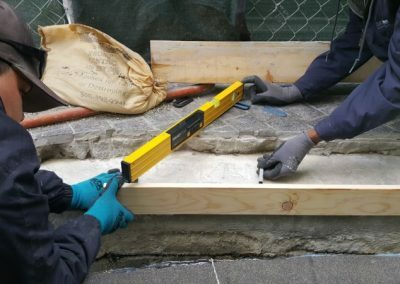 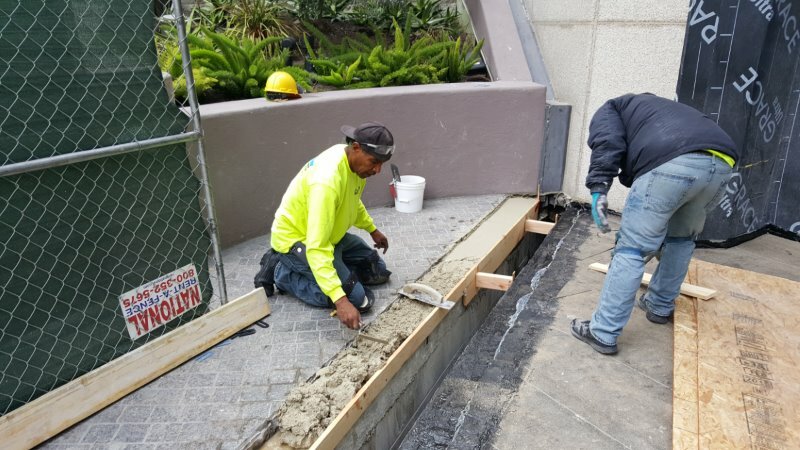 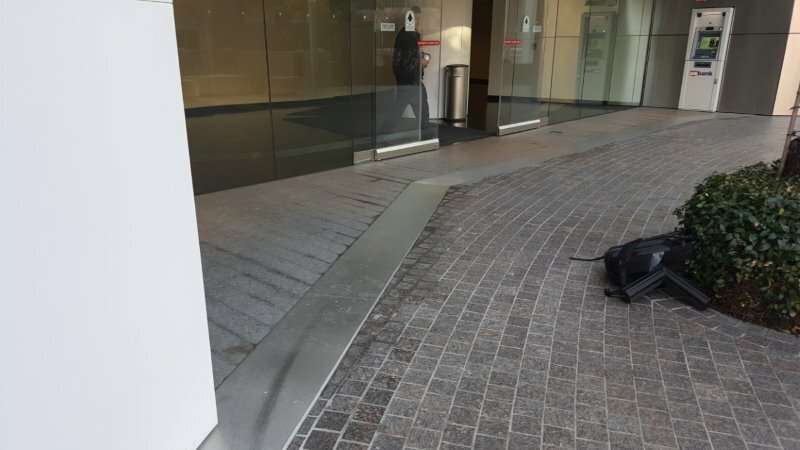 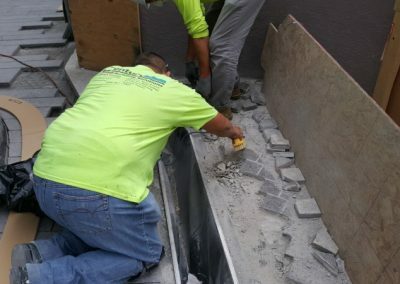 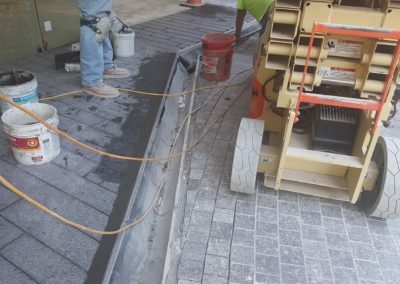 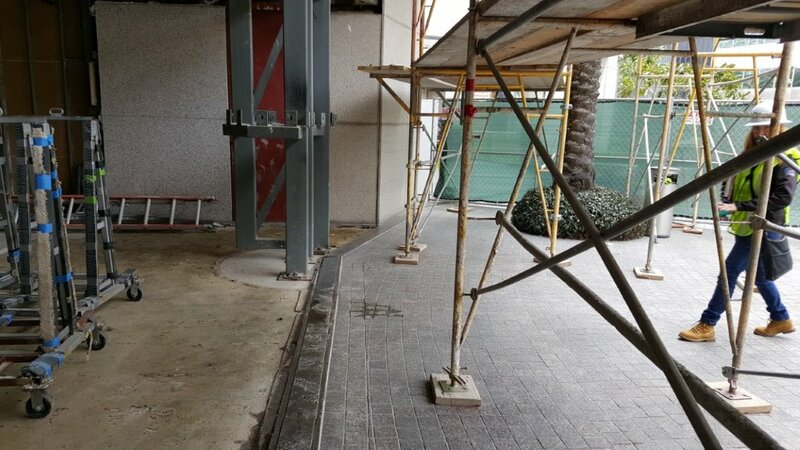 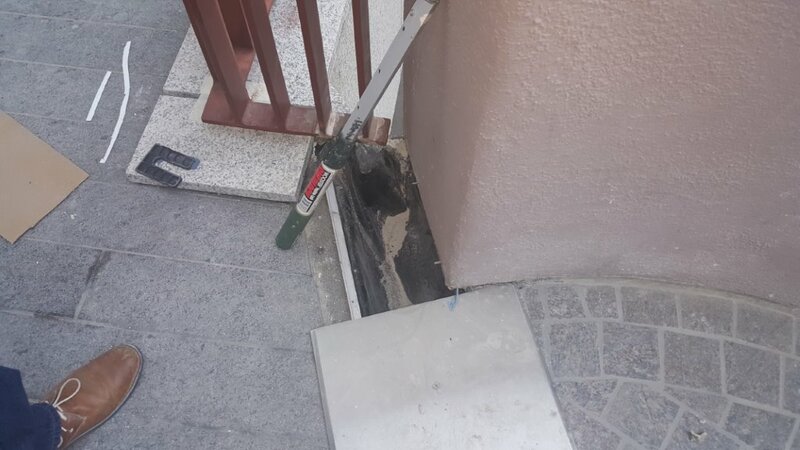 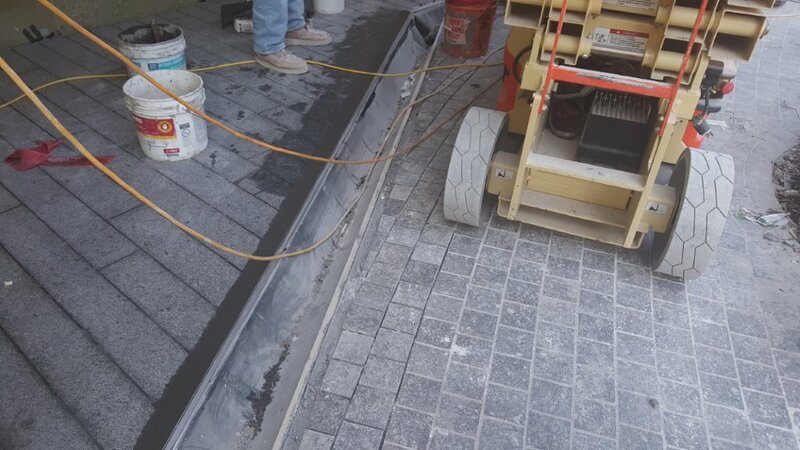 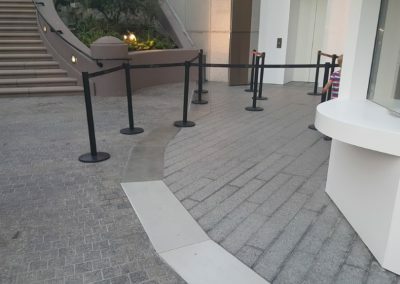 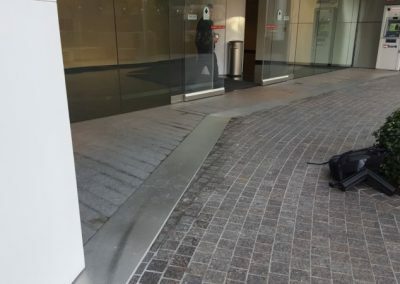 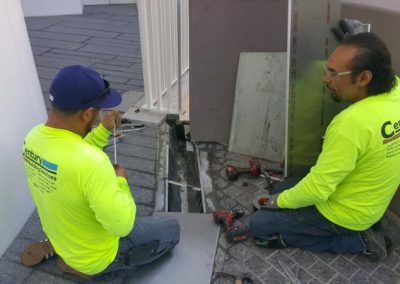 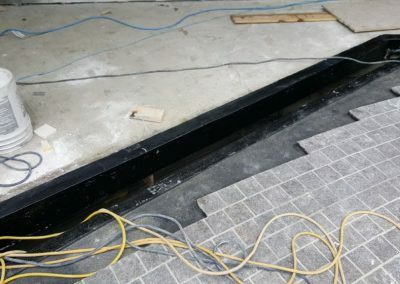 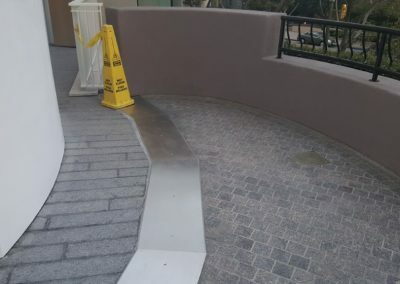 Century Building Solutions of Los Angeles, California was called in to restore and replace the old expansion joint covers and moisture barriers as well as provided waterproofing and caulking and sealant solutions on the project. 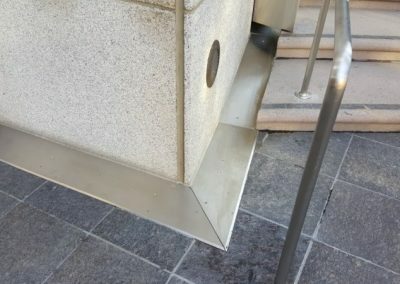 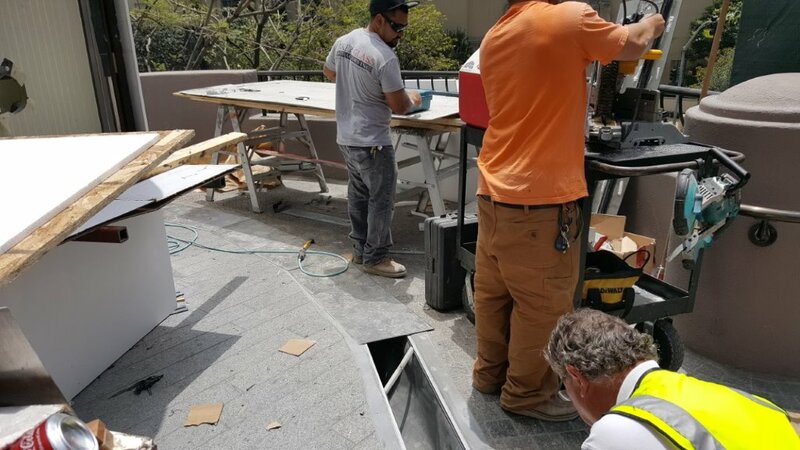 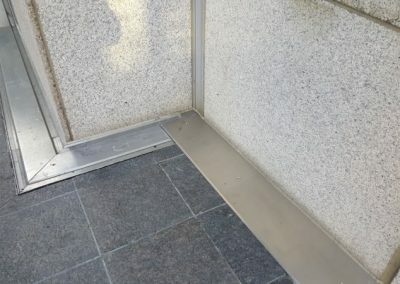 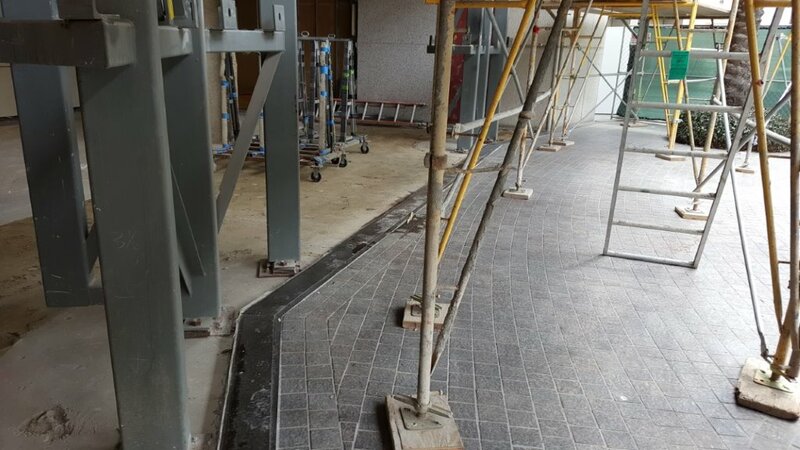 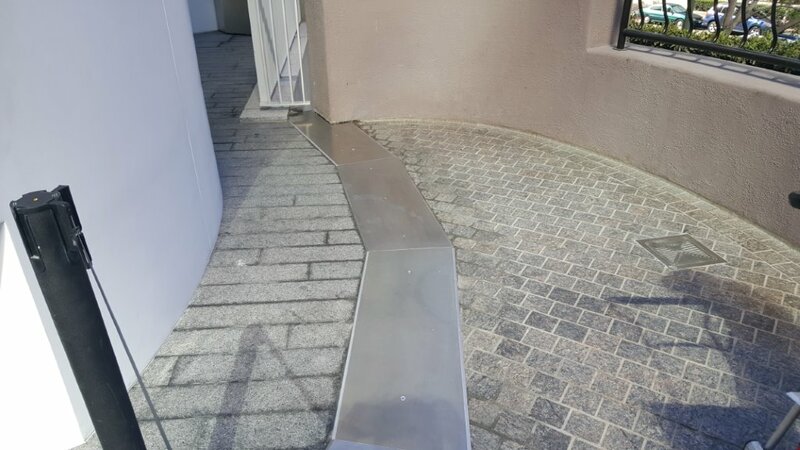 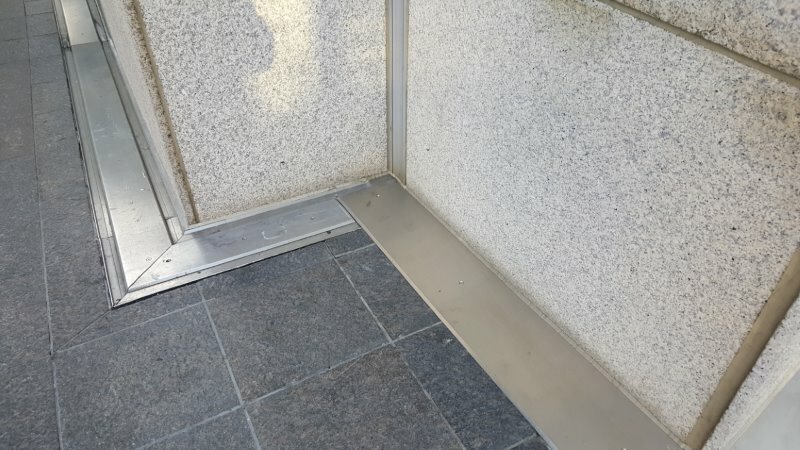 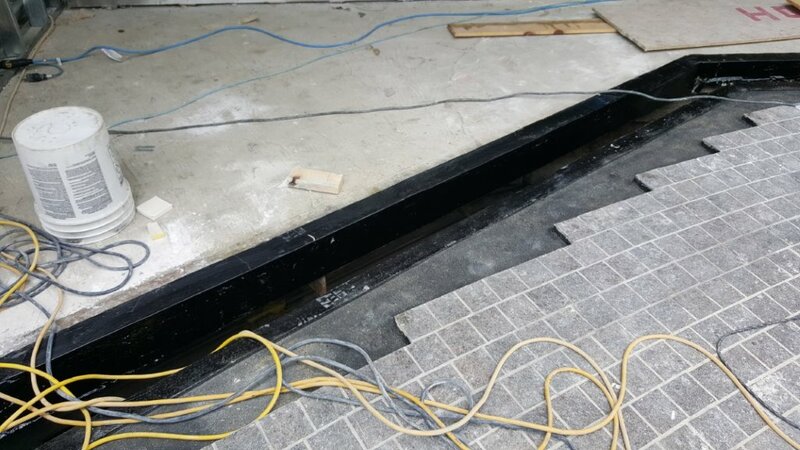 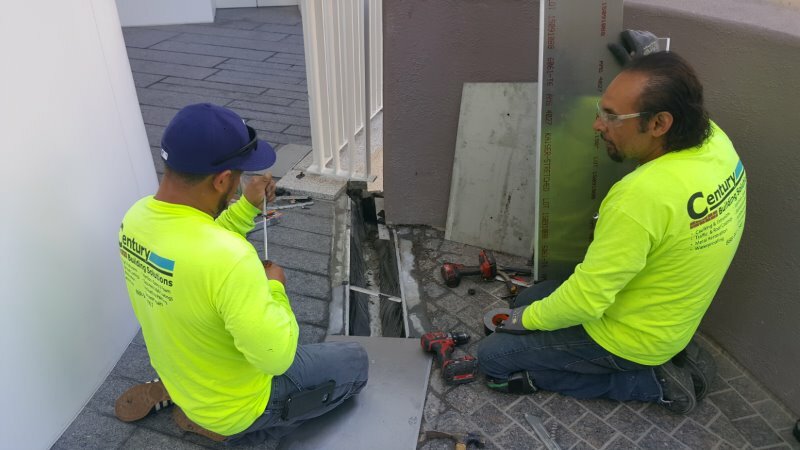 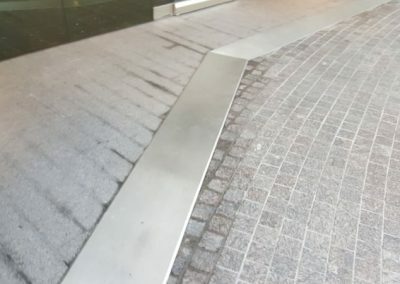 Working with Encore Building Products, Century extracted the old steel and brass expansion joint covers and replaced the covers with new custom fabricated stainless steel expansion joints and moisture barriers. 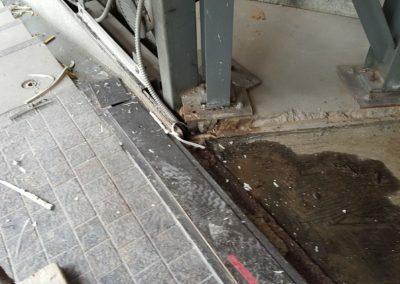 “This was one of those projects that you just could not plan for until the old systems were removed and you had a look at what was “under the hood”. 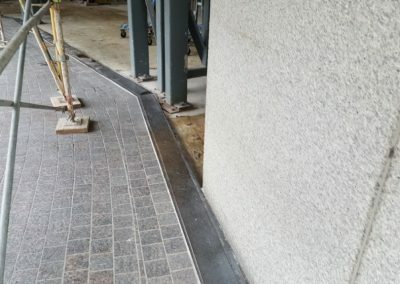 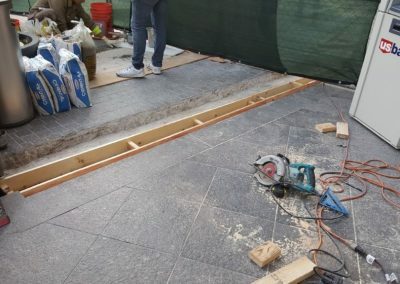 Encore Building Products is very proud to be part of this multi-million dollar project renovation and expansion joint restoration, and to have had the opportunity to work with the building owners and Century Building Solutions. 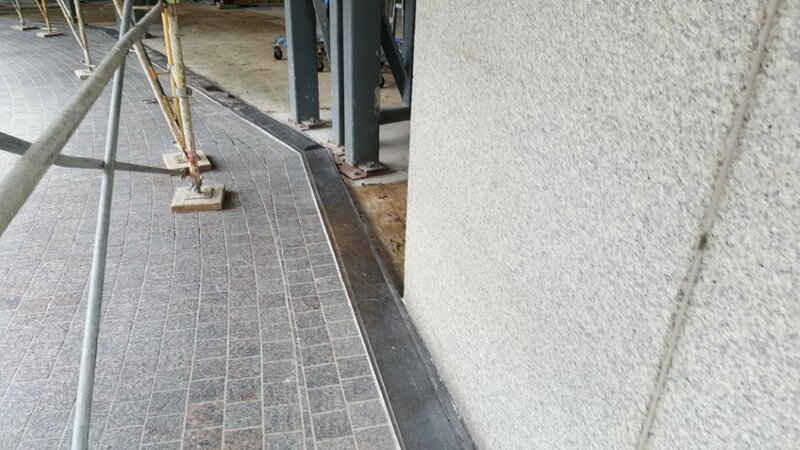 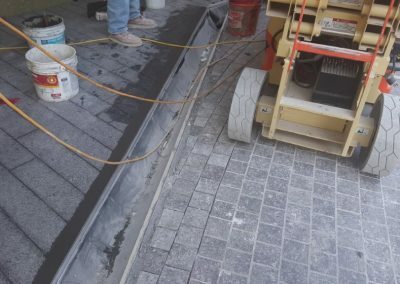 Let Encore Building Products be part of your next expansion joint project!